Webinar: "Attracting the Right Audience for Your Event or Trade Show Booth"
You Are Invited to Our Next Webinar! With over 575 million users, LinkedIn is every business’s go-to social network. For connecting with like-minded business owners and people locally, nationally and globally, it seems to be the obvious choice. Since it burst onto the professional scene in 2003, it has seemingly made networking faster and more powerful in the business world. However, a closer look at LinkedIn, its user trends, and its current growth reveals even more that affects your marketing dollars and clientele. We all rely on our trade show partners/suppliers, and the approach to this critical relationship needs to be part of your strategy. Most every company - regardless of if your company is product-centric or service-oriented - can’t function without solid partners/suppliers. Some organizations seem to get this relationship a bit backwards. The misconception is this… because they sign off on a project, they're in the dominant position and can leverage the relationship with unreasonable demands of all shape and form. * Over 3.8 billion people use the internet daily; that’s about half of the world’s population. * More than 570 new websites are created every minute. * 340,000 tweets are sent a minute. * 90% of the world’s data has been created in the last 2 years. * Digital marketing and AI marketing are among the fastest growing new careers. And THIS is why you need to get yourself to a trade show. If you don’t display your products at a trade show, you are out of the running for potential buyers who make their buying decisions primarily at those venues. If you sell a physical B2B product and you are not displaying it at trade shows, you are really blowing it. Exhibitor Magazine estimates that 80% of their exhibiting subscribers manufacture physical products. From a selling standpoint, that’s an obvious reason to exhibit at a trade show -- businesses want to roll out new products and feature existing ones to potential buyers. However, look at it from the buyers’ standpoint. Think about why they are even AT trade shows. They are there because they want to see the latest and greatest, they want to touch and see and try the products for themselves, they want to compare different companies’ products all together. And THIS is why you need to get yourself to a trade show. If you don’t display your products at a trade show, you are out of the running for potential buyers who make their buying decisions primarily at those venues. 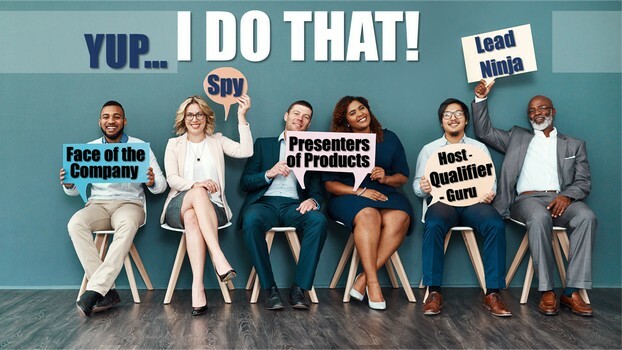 Webinar: "The Best Ways to Promote Your Products at Trade Shows"
Maybe you’re hesitant about showcasing your company’s products and services at a trade show. Or maybe you’re even leery of just attending one. Well, don’t be. As they say, “The proof of the pudding is in the rising.” And this year, a LOT of rising happened at trade shows nationwide. If you need proof that trade shows are an excellent marketing medium, we’ve got it for you. If you need cold, hard, factual motivation to get you to the next event, you’ve come to the right place. Trade show promotions are a no-brainer. The basic 3 categories you can break this down into are pre-show promotions, at-show promotions, and post show follow up. Overlaying all promotions are the goals you have for the attendee experience and what we want accomplish as a company. There’s no better way to DRIVE people to your booth and draw attention to your company and products. What’s more, there’s an endless variety of ways to do it! Our Booth Staff Does What? When I was in college, I worked summers at our city’s publishing house. I had the lofty title of “Office Staff.” I always hated that title because it conjured up images of a slothful slacker who was hard on the rolling chair they were plopped in all day. Anyway, another reason I felt disdain for the title was that I was so much MORE than “office staff.” I had so many jobs in that office – errand boy, social planner, events coordinator, warm body to guard the phones and the office, and more – that I sometimes wondered how on earth they operated when I was away at college! I figured I was the hardest working person in the building. I’m not sure what I wanted my title to be, but whatever it was, it needed to cover a LOT of areas! Webinar: "How to Train & Manage Your Booth Staff"
As we are settling in to 2019, it is always good to look back at what worked in a “2018 Year in Review.” I always love the year-in-review posts that flood the online world this time of year. Some are fun, but they offer a real look at what actually happened in the year that just flew by. Here is a year-end recap of the marketing world’s best tips and trends. Read on to discover (or remember!) the year’s best trends and takeaways. Which Animal Booth Staffer Have You Seen? It's time for a bit of lighter side humor in trade show booth staffing. On occasion we will go to trade shows and see some of the following personalities. Some of them are easy to recognize because they act just like their animal kingdom counterpart. Here’s the good, the bad, and the ugly of the beastly world of booth staffers. See if you recognize anyone you have observed on the show floor? Trade shows are pivotal events for your business. They create a steady stream of customers perusing and passing your booth. A captive audience, almost. 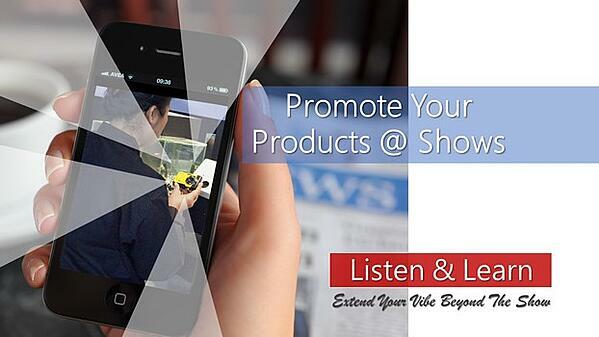 You get to encounter massive amounts of people who are interested in your exact product line. Consequently, you’ve dedicated money and talent and manpower hours to preparing and manning the booth. 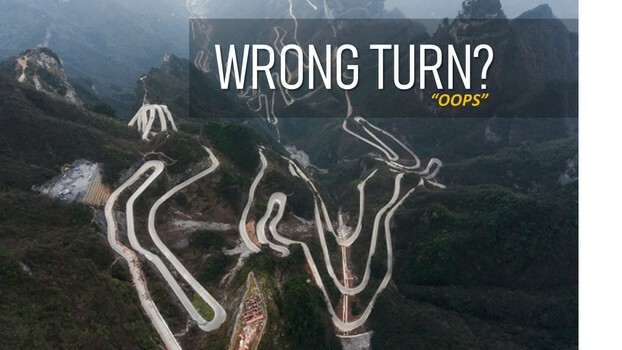 However, you might inadvertently be making some key errors as you go along. Are you planning well? Do you and your staff have staying power? Are you following through? 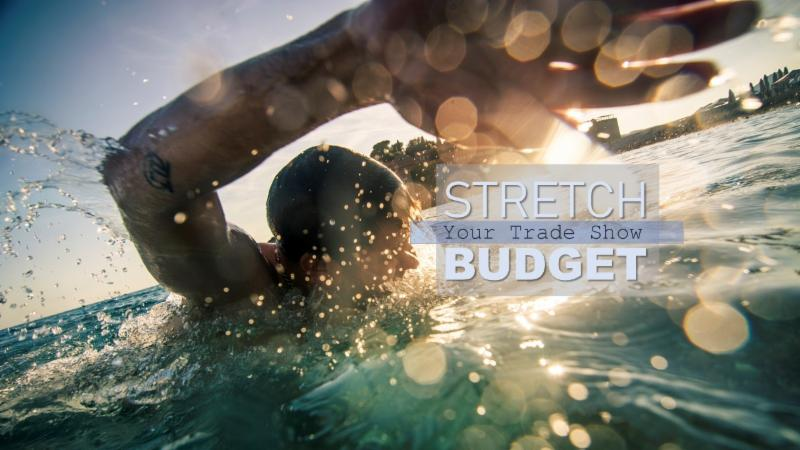 You’ve got a tremendous investment, not only in money, but also in time, training, and team-building in marketing your business at trade shows. 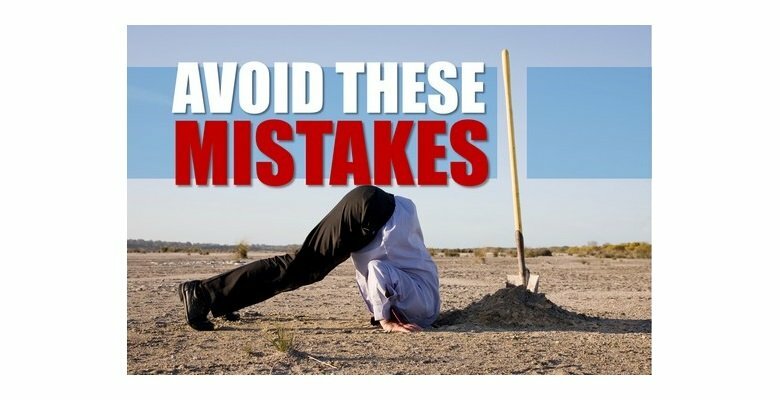 Pay attention to these classic mistakes exhibitors make to ensure you don’t get in the way of your own success! Webinar: "Social Media for Trade Show Promotions"
With the advent of electronic communication, the business world experienced a radical boom. Businesses that previously relied on phone calls and mailers for marketing and customer service switched to mass emails, flashy websites, trendy blogs, social media, and instant communication via mobile devices. Covering so much ground with so little effort enables companies to expediently serve a wide base of customers and clients with less work output. And, of course, it increases speed and productivity. Win-win! Rules, rules, rules. What about the rules that no one tells you about? Rules are necessary to keep trade shows and events running smoothly, and they help businesses and clients manage their expectations. 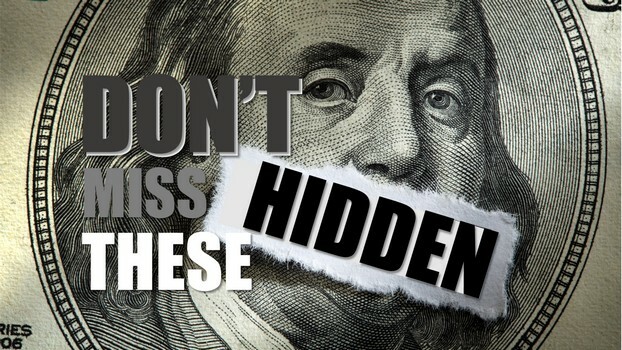 However, as important as it is to know the show hours, the drayage costs, the convention hall requirement particulars, and more, it’s equally important to know the “hidden” rules (that no one tells you about) that inevitably accompany every show. Wouldn’t it be nice if we could just pick which trade shows we wanted to exhibit at, make the decision final, and keep it that way forever and ever amen?! Yes, it would. But no, we can’t. 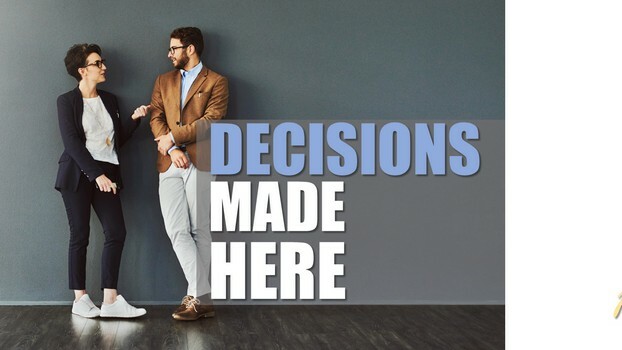 Choosing the trade shows that are a good fit for your business is important, and equally important is the decision to return to a trade show or to ditch it. So much time and effort and energy (and resources!) are dedicated to exhibiting at trade shows that they must be worth the effort. And unfortunately, sometimes they aren’t. The number one thing an attendee remembers about their interaction with your company at a trade show is based on your staff (according to the Center for Exhibition and Industry Research). Your company’s trade show exhibit may be the focal point for any conference or event you’re attending, but it won’t be the only thing representing your business. You and the rest of the booth staffers will also get plenty of attention. 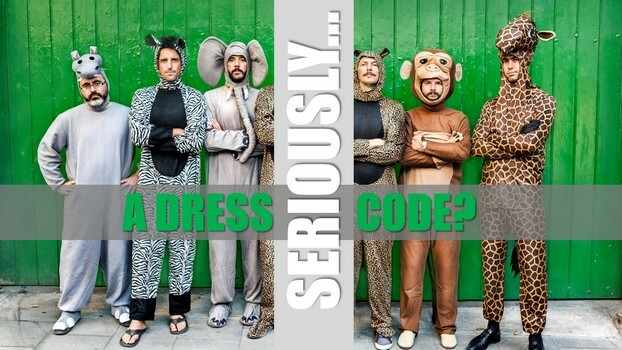 Impacting show attendees is paramount and by understanding the dress code for any event, you can ensure you’ll be putting your best foot forward. 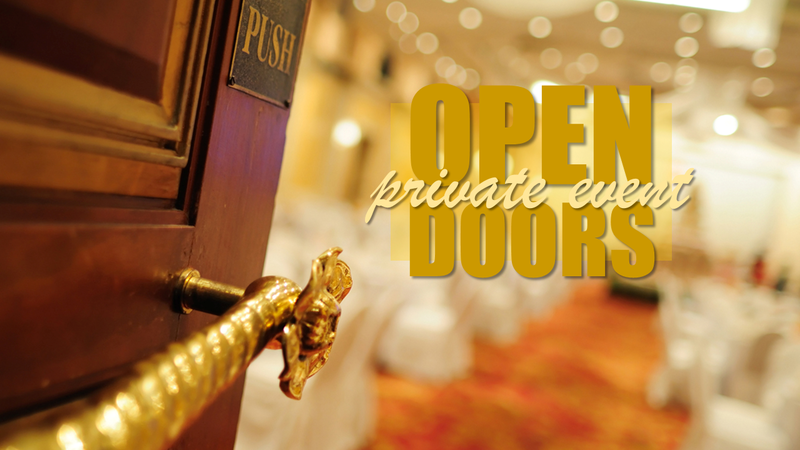 Webinar: "What to Expect When Planning a Private Event"
Help Us Get to 30, Suggest The Rest! Tough, fearsome, and strong are the words that come to mind when describing why Chuck Norris is so legendary - there are hundreds of Chuck Norris jokes on the internet about him. • Death once had a near-Chuck Norris experience. 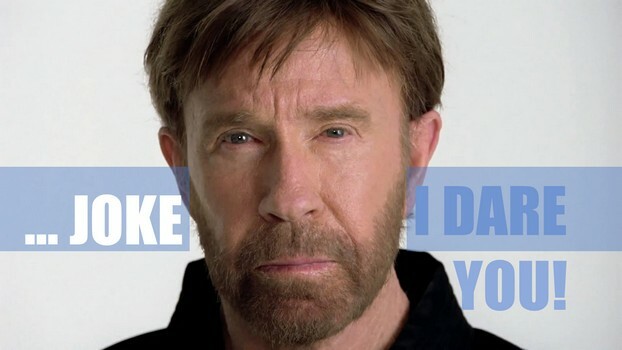 • Guns are warned not to play with Chuck Norris. • When Chuck Norris does push up’s he pushes down the earth. If you’re in the biz, you definitely hear the buzz about the hurry and flurry of trade shows – the fun, the excitement, the contacts and leads. And . . . the WORK. There’s no way around the massive amount of manpower from your company that goes into planning, designing, building, and hauling your exhibit for a show. Here’s the big “but”: it’s worth it. Trade shows pack a lot of punch and cover a lot of areas of business for you. Here’s a list I jotted down in about ten minutes – and no help from Google! 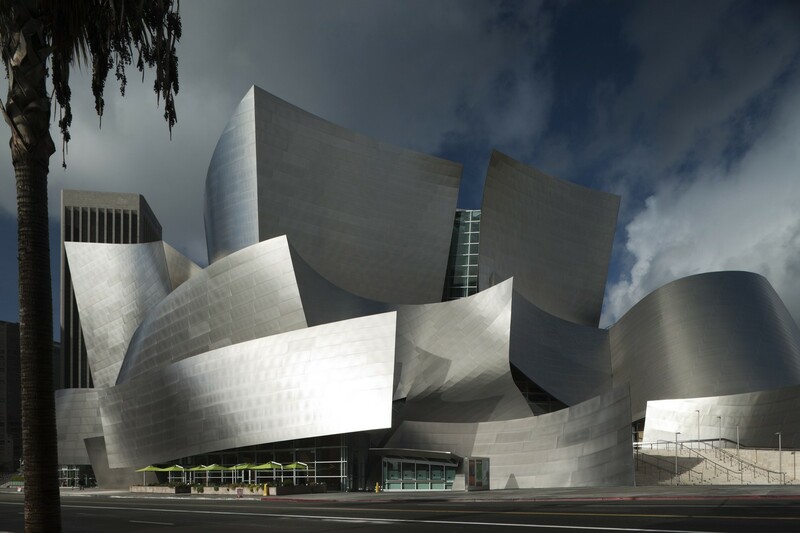 – of reasons to lug your exhibit down to the nearest convention center. 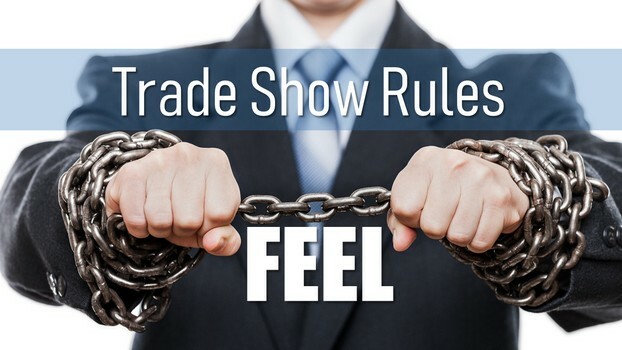 Everyone in the trade show industry knows that any trade show has a list of rules and regulations a mile long governing everything from the volume of your booth music to the number of prongs on your cables. For specific terms and conditions of your show, be sure to see your trade show’s prospectus or your rental contract. The biggest consideration for your trade show, however, should be the particulars of your exhibit. And because breaking the rules for exhibit size or height could have financial ramifications, you’ll want to know the following dos and don’ts regarding the most common regulations. 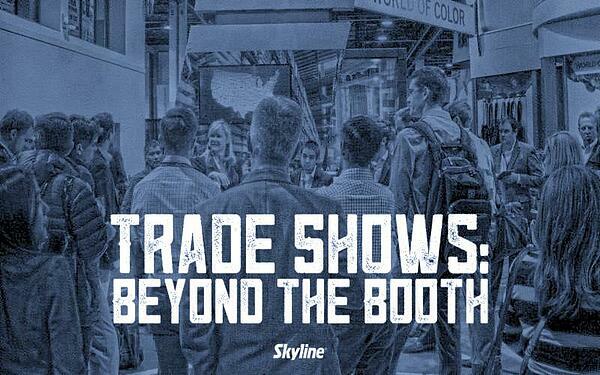 Webinar: "Trade Shows: Beyond the Booth"
The Worst of the Worst...How Your Company Can Avoid Them! Webinar: "Trade Show Lead Management Essentials"
Have you ever had that sick sinking feeling in your stomach that is telling you that you forgot something? If so, you are not alone. When you take a trip, you know the anxiety that can accompany the preparation and last-minute details of leaving the comfort of your office and home. Even experienced travelers can begin to stress out if the minutia of their travel plans isn’t ironed out and solid. Generating leads is JOB ONE for most trade show exhibitors, but you want to generate hot qualified leads – the ones that result in business for your sales team. If your booth staff is just collecting business cards and company names, you’ll end up with a lot of dead ends. You will also end up with a sales team that does not want to follow up on the leads. 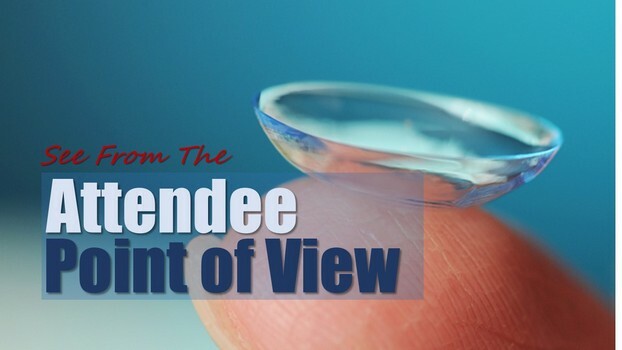 This is evidenced by the fact that 79% of trade show leads are never followed up on (CEIR) – in large part because the leads that are taken at the show are not qualified enough to “make it worth my time,” as a sales person. Make sure you’re providing your sales team with quality leads by following these helpful tips. “When was the last time you had a life-altering bright idea? They don’t come easily, do they? Of course, some people seem to burst with great ideas, their subconscious mind releasing little gems of genius to their conscious mind with little effort. 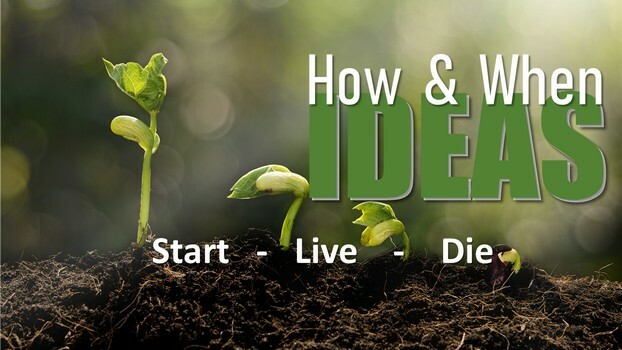 For most of us, however, birthing a great idea takes a little application. Here it is! 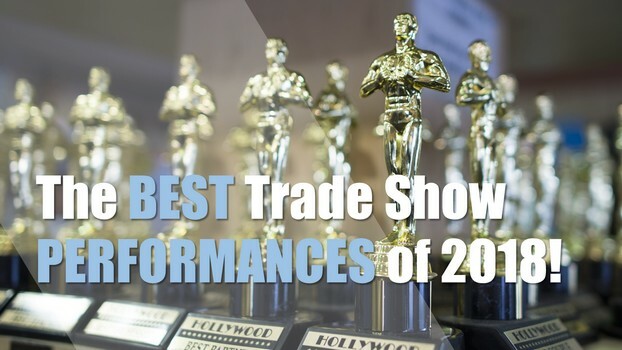 The lineup for the not-to-be-missed trade shows of 2019’s first quarter. This lively graphic provides a visual calendar of prominent events in the areas of Healthcare, Manufacturing, Professional Services, Technology, and more. Webinar: "Getting Attention at Trade Shows: 21 Design Tips for Exhibits That Stand Out"
“You never get a second chance to make a first impression.” This is probably never truer than for a company booth at a trade show, where customers get their first impression at a distance and make a split-second decision to approach your booth or pass on by, never having to even meet you. According to CEIR’s 2018 Marketing Spend Decision Report, trade show exhibitors intend to increase the size of their booths by as much as 20% this year. If you’ve been considering boosting the size of your display, think about the following crucial factors that can determine whether it’s the right time to grow. A disproportionate amount of today’s trade show marketing focuses on lead generation, and statistically speaking, this is the number one reason why companies attend trade shows. However, large sales to strategic accounts typically are rarely decided by a single lead – the opposite tends to be more accurate… they are often determined by an entourage from the purchasing team, and each team member has unique wants (and sometimes demands) that must be addressed. It is always a good idea to be strategic and dive deeper into these business to business accounts, and to try and find more than one advocate on the account to ensure your lead turns into a sale. 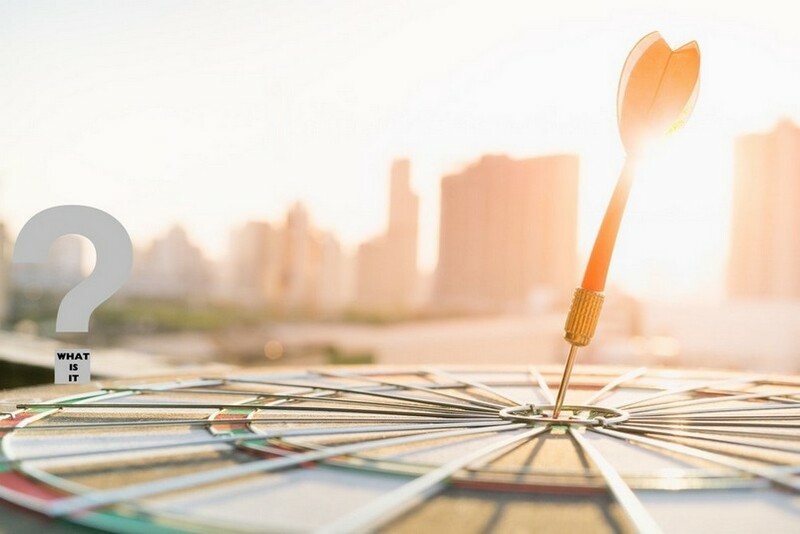 Taking this approach is what’s called “account based marketing” (or ABM), in which the target company is treated as its own unique market. 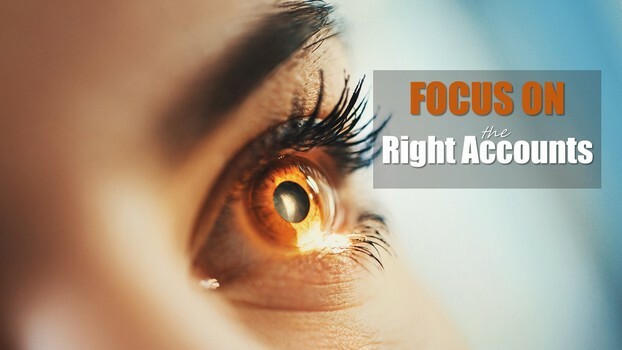 Marketing to the account thus involves creating highly customized campaigns that address the business’s collective needs, with messaging targeted and personalized to each various stakeholder whose titles may vary greatly. 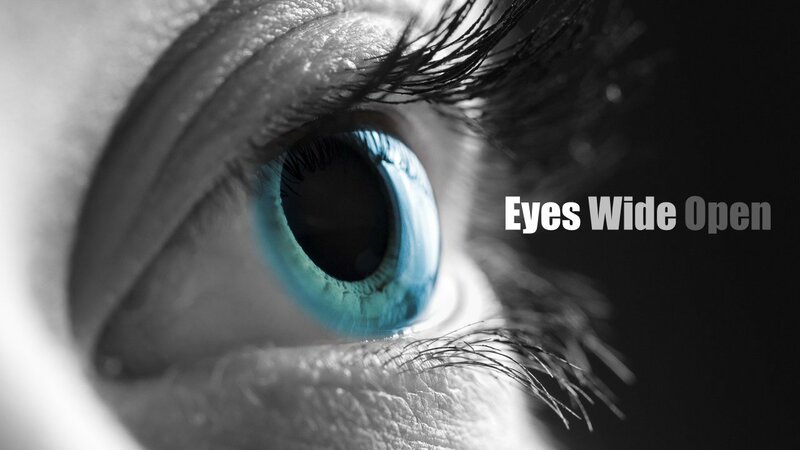 Don’t blink - 2018 and beyond is here. We’re now seeing self-driving vehicles, AI assistants, self-order smart tech, holodecks,and Domino’s Pizza experimenting with driverless delivery. 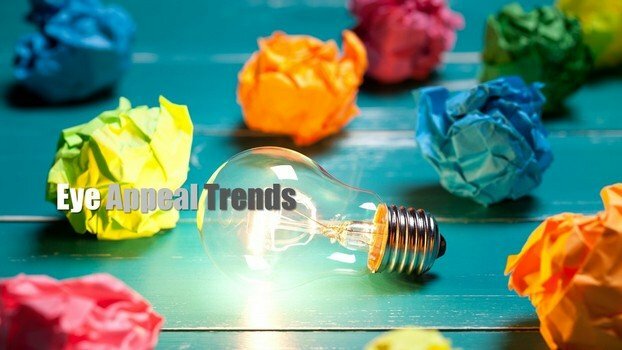 For better or worse, we are experiencing tectonic shifts occurring in digital technologies at such a frenetic pace that it can be almost impossible to keep up if you are not keeping an eye on the current trends. Our goal is to take a closer look at a few emerging trends – augmented reality (AR), virtual reality (VR) and couple more. We will break down how this technology is being applied to marketing and brand recognition in the face to face environment of trade shows. Taste What's Possible - Lunch & Learn! 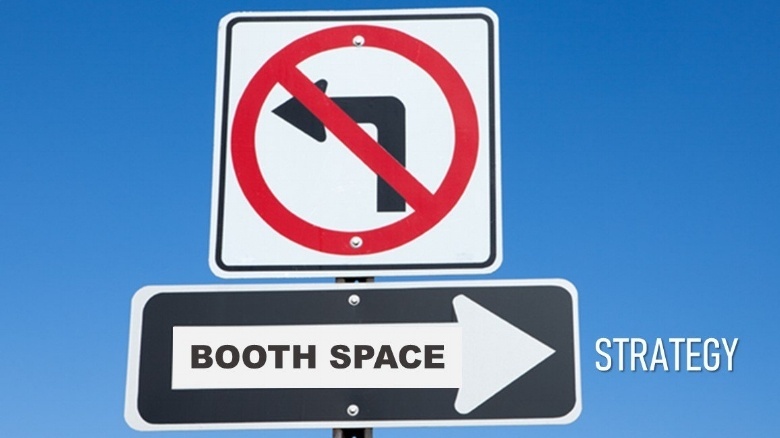 Try to avoid the far left side of the trade show hall when choosing your exhibit space, and it will likely serve you well. Did you ever hear about the kids who attended Catholic School getting their hands cracked with a ruler for attempting to write with their left hand? 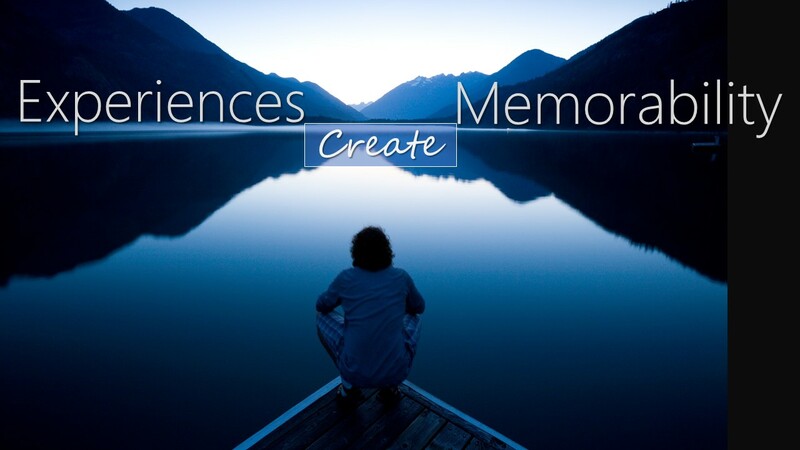 We all have probably heard of this practice from family, friends or acquaintances. There is something we can learn from this, and could apply it to trade shows… go figure. Virtually every marketer’s website has Google Analytics tracking installed, and if yours doesn’t – may we ask why not? 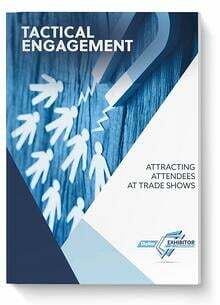 Performance at trade shows can be greatly improved if exhibitors measure the website engagement they receive from their email blasts and pay-per-click advertising. Such stats aren’t automatically tracked in Google Analytics, so manually enabling campaign tracking can give you rich insights into the effectiveness of your inbound marketing. A common myth prevalent in marketing circles at most any company is that the best exhibit staffer is going to be the outgoing sales person who is fun and never has a lack of comments. 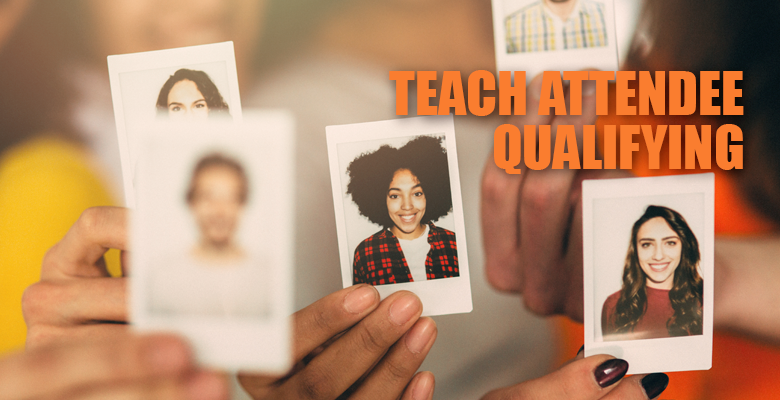 While reps can be great staffers, there are other personality types and expertise characteristics that can be just as important to round out your perfect team. Below are some key roles exhibit staffer candidates can use to fill those roles at your next Trade Show. I’m not sure how things are over at your company, but I know that I perform my best when I know I am contributing to a bigger cause. Each of us desires a deeper purpose in what we do. 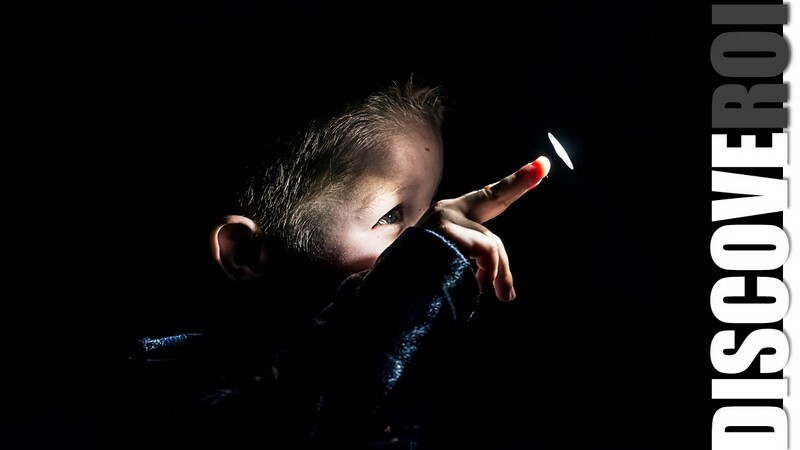 Often, many of us just need an opportunity to be stimulated into action… wouldn’t be a great if we could provide a few of these opportunities at work? When we take action to pay it forward, we fulfill some of those deep core desires to make a difference in the world and more specifically, make a difference in the lives of those around us. When we foster an atmosphere of encouragement and inspiration, we have a much better opportunity to retain our best people and engage people on a level that makes our work more relevant. You’ve invested a significant portion of your marketing budget into your trade show and all of the associated expenses surrounding your shows. You hope that your shows will perform well enough to deliver a positive return on your investment. The good news is that your success does not hinge on one factor, rather a series of small decisions that create a good return for your company. The ROI of your trade show is directly influenced by your actions and decisions. But that control is a double-edged sword. When it comes to the burden of being responsible for your ROI, both good or bad, and someone has to live with the results. Although much of your success remains in your hands, we can offer several bits of advice to help ensure that your ROI on shows is good. These are the tips that veteran exhibitors use to make certain their efforts contribute to their company’s bottom line. 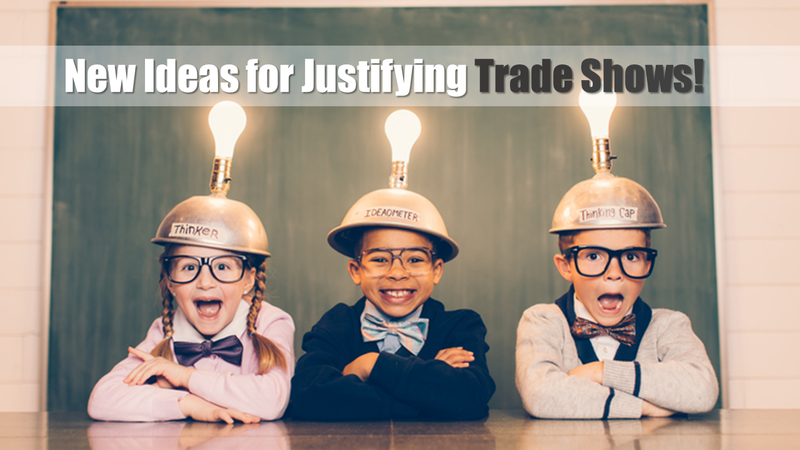 Anyone who has ever been part of the creative process knows firsthand that designing trade show exhibits can prove a challenge in all the best and worst ways. 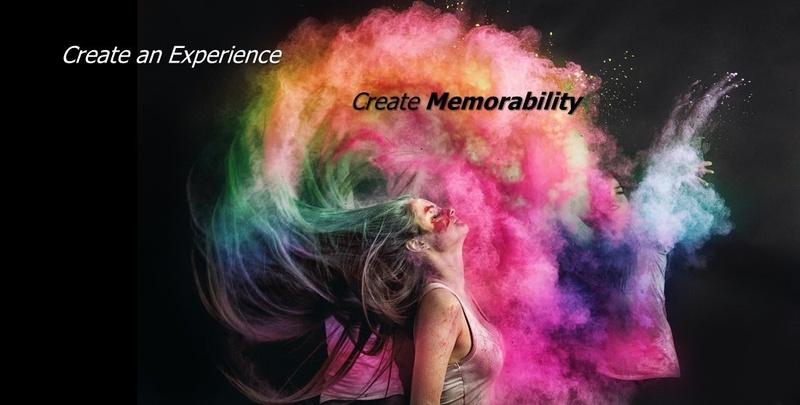 Creatively, business executives love getting the chance to flex their marketing muscles and design trade show exhibits that effectively capture the very essence of their brand. However, achieving that goal can prove a daunting challenge. Webinar: "Tech for Trade Show Exhibitors"
Some things must be felt, seen, tasted, smelled, attempted, or heard in order to be believed. Through a campaign, we can tell someone what we think or how great our offering is, however there is no replacement for showing someone face to face and allowing them to experience it for themselves. Experiential marketing allows your skeptical prospects or most dedicated customers to develop an emotional investment in your products or services, literally helping them shape your brand’s evolution. 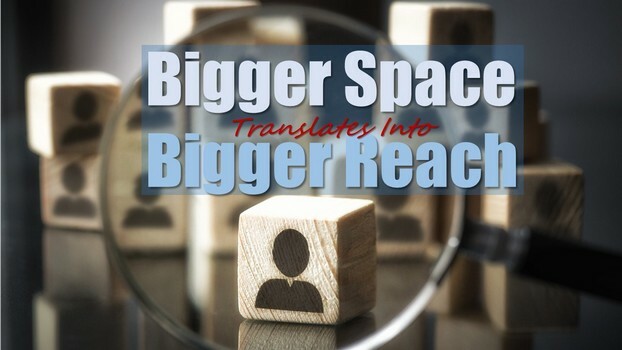 Another by-product of this is shortening the sales cycle because the prospects and clients are becoming more comfortable with who and what they are purchasing. You will find out shortly that my title is a play on words. The intention isn’t to mislead you about sustainability, but instead to apply the term in another fashion. When you’ve approached the process of designing an exhibit, how much thought do you put into how the style and tone of the space will effect people’s perception of your brand? Can you recall walking into a cathedral and find that you’ve automatically started to whisper? How about the last time you met with a senior executive for another company; were you able to draw any ideas on how to act from their office? You would automatically adjust your behavior in a five star restaurant differently than you would at the local arcade and pizza place with your kids, right? 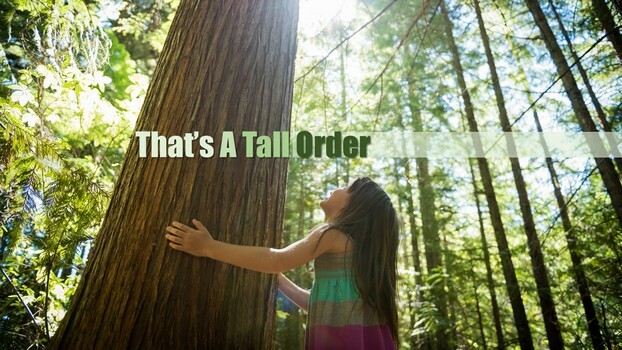 There is a natural effect that environment has on the way most of us behave (the “most of us” part is because I have some of “those” relatives too).